For a many years now many iPhone users have been asking themselves if customization of the iPhone casing will ever be possible straight through the mother company, Apple. It is highly impossible that Apple will start selling mod casings for the iPhone, whether it be the iPhone 4G or any other model. Why? Well, Steve Jobs famously saying 'Yuck' about the idea should really shatter any hope of this ever happening in the future. Anyway, as a Malaysia Personalized Gift Store, we have launched the Personalized iPhone Casing for iPhone 4 & 4S. 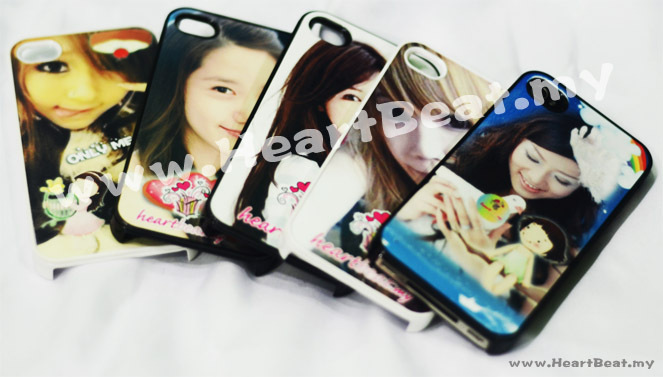 Customize iPhone cases with your own design from HeartBeat.my today. Enjoy!